Alice and The Mad Tea Party is a game that you’re probably familiar with since it’s available in many brick and mortar casinos across town. 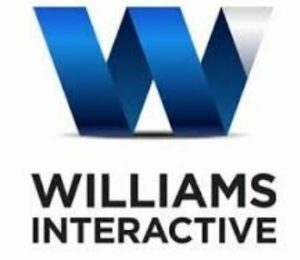 Yet, Williams Interactive decided to bring this popular classic slot to online casinos NJ. And what a great idea that was, if we may add! In fact, this game’s classic look and feel won’t appeal to all players, perhaps. But it’s almost a guaranteed that its max win of $1,500,725 will make everyone’s head turn. In fact, this game offers one of the best max win currently available in online casino NJ. And because of this, we thought it was only fair to write a quick review about it. After all, our goal is to give you as much information as possible to make your next casino session a successful one! And this slot is a game that can transform a lucky player’s life! Feature: Random symbol permutation, Pick n’ Click Bonus, Stacked Wilds, Re-Spins, Multiplier, Free Spins and a Gamble your winnings mini-game. As you can read above, Alice and The Mad Tea Party offers many bonus features. But to keep this game review short, below you’ll find a quick explanation of the best-paying features of the game. And remember, if you need more information about this slot after reading the review. Well, you can always click on the (?) button located at the top of your screen since it’s a bit more descriptive than the paytable. Is the bonus feature that can reward you the most! In fact, after getting 3 Feature symbols on the reels, you’ll automatically play a Pick n’ click bonus. To sum up, the Pick n’ click bonus can either reward you with Multipliers, Re-Spins, pick again or trigger a symbol permutation which means that before playing your 6 Free games a symbol will be selected at random and will act as wild to give you more winning possibilities. You’ll have the chance to trigger the Queen Feature after any non-winning spin in the base game. You’ll know this feature is active when the queen soldiers appear on top of the reels. Then, you’ll need to pick one to either reveal an instant coin win up to 250x your initial bet or to get extra wilds on the reels. The feature you’ll trigger depends on how lucky you are with your pick. Why should you play Alice and The Mad Tea Party video slot? All and all Alice and The Mad Tea Party is a game that is packed with bonus features, and we’ve not even mentioned the Caterpillar, Mad Hatter, or Alice Features above that can reward you with Stacked Wilds and Huge Multipliers up to 10x. So to know more about these extra bonuses, well, you’ll either need to play the game at any casinos listed on this site or read the paytable. Regardless of what you choose to do, remember that Alice and The Mad Tea Party is a game that will appeal to all levels of players. But only the wise ones will remember to claim a casino bonus to get more chances at triggering all the feature this game offers. Try it today and have fun!